The Global Dealmaker of the Early Oil Industry Known as "Mr. Five Percent"
The discovery and exploitation of oil reserves in the Middle East have fundamentally shaped the region, operating as a key driver of many of the events that have characterized this part of the world over the past century. This story of Middle Eastern oil is often presented from the perspective of faceless multinationals; a history of big business, big money and backroom politics. However, a new book by biographer Jonathan Conlin aims to shed light on this impenetrable and obscure world, by examining one of the fascinating individuals that drove the development of the multi-billion dollar oil industry. Calouste Gulbenkian, otherwise known as “Mr. Five Percent”, earned his fortune buying shares in Middle Eastern oil production, ultimately making him one of the richest men in history. 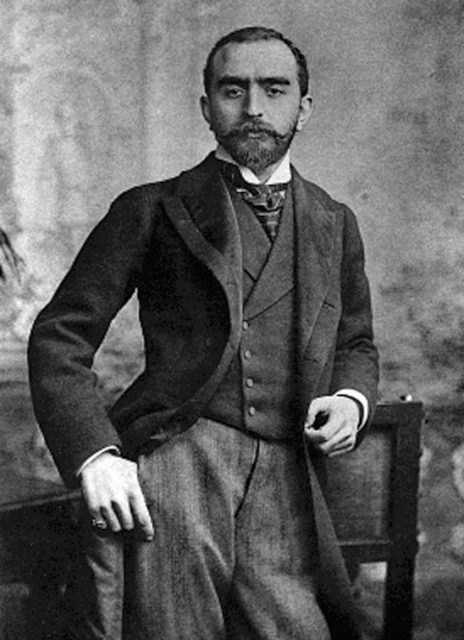 Picture of Calouste Gulbenkian in his late 20s. 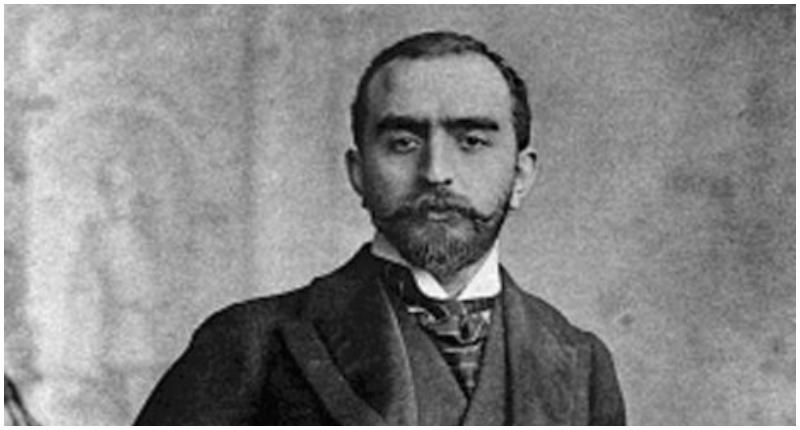 According to The Spectator, Gulbenkian was born in Istanbul in 1869, into an extremely wealthy Armenian family. He was educated in Marseilles and London, and later traveled to Russian-controlled Baku in order to learn more about the nascent oil industry. His family had long had an interest in oil exploration and trade, and his father had developed close relationships with the Russians, owning oil fields in Baku and the Caucasus. 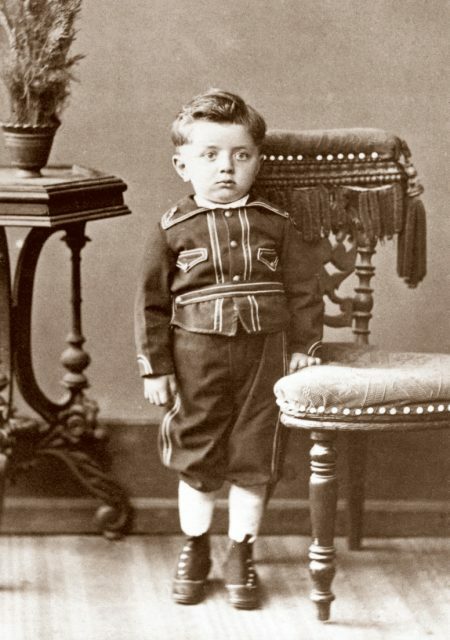 Calouste Gulbenkian at age three. Calouste, a graduate with an international outlook and a first-class degree in engineering, appeared set to follow in his father’s footsteps. In 1887, Gulbenkian was commissioned to write a survey of the possibilities for oil exploitation in Mesopotamia (modern-day Iraq). According to Conlin, he developed a keen awareness of the potential for the industry across the territories of the Ottoman Empire, and began to develop his own oil operation business. Already a very rich man, having inherited the modern equivalent of $100 million from his father, he began to grow his fortune. 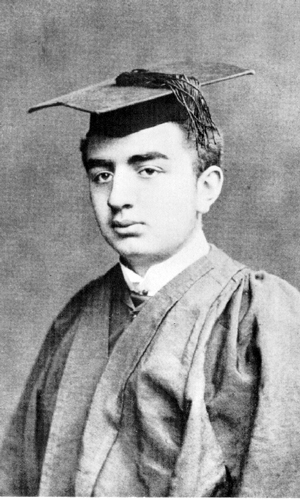 Gulbenkian in 1889 at the age of 20, newly graduated from King’s College, London. Gulbenkian’s life was characterized by a form of nomadism; he moved all over the world but seemed destined never to find a permanent home where he could settle down. As Conlin notes, the late 19th century was not a comfortable time for Armenians in the Ottoman Empire, as rising Turkish nationalism often resulted in persecution and outbreaks of violence. The Gulbenkian family eventually fled Istanbul for British-controlled Egypt in 1896 following a series of pogroms against Armenians in Ottoman territories. 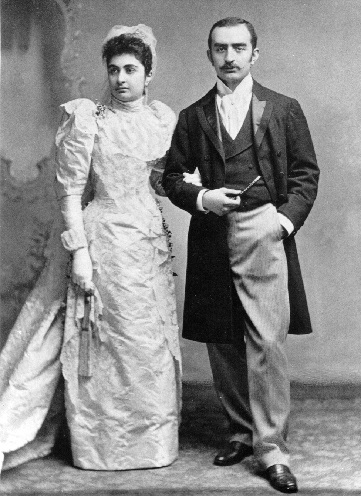 Calouste Gulbenkian’s wedding to Nevarte Essayan in London in 1892. It was here that Calouste established connections with the British authorities and carved out a promising career in international affairs. His knowledge of oil reserves throughout the Ottoman Empire, together with his international connections, meant that he was perfectly placed to act as a broker. He earned a formidable reputation as a negotiator, and became known as “Mr. Five Percent”, due to his habit of always retaining five percent of the companies he developed. 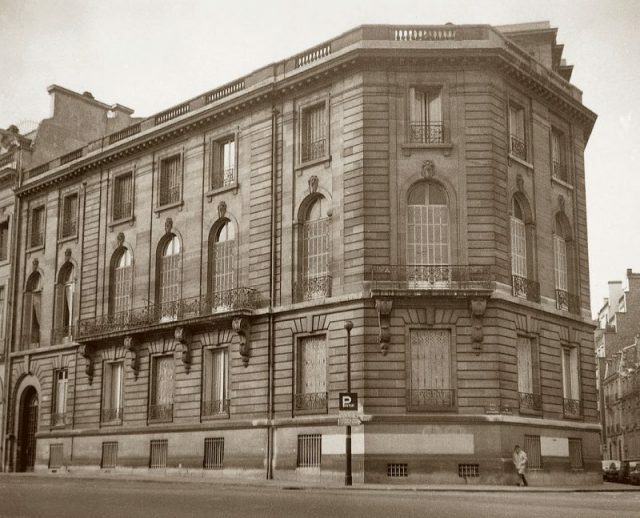 Gulbenkian’s home on 51 Avenue d’Iéna in Paris, where he kept most of his art. In 1912, Gulbenkian played a key role in the creation of the Turkish Petroleum Company, which was focused on the exploitation of oil in Mesopotamia. He masterminded a clever plan: instead of competing in the region, multiple countries would have a stake in the venture and work collaboratively to drill for oil. In 1925 the company was given exclusive rights to drill in Iraq, and it was later renamed as the Iraq Petroleum Company. Gulbenkian kept his five percent, and his patience was finally rewarded. 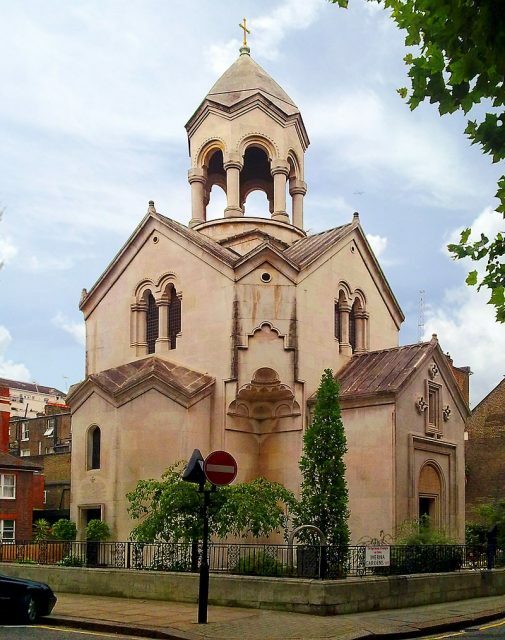 St. Sarkis Armenian church in Kensington, London – constructed 1922–23 by Calouste Gulbenkian as a memorial to his parents. In 1927, the discovery of a huge oil reserve at Kirkuk, Iraq, catapulted the already-wealthy oil tycoon to an astronomical fortune. The site began to produce 90,000 barrels of oil per day, and Gulbenkian’s assets grew exponentially. As Conlin notes, Gulbenkian was a ruthless businessman, and did not allow moral considerations to impinge on economic decision-making. He had no problem maintaining close dealings with the Ottoman authorities, despite persecution of Armenians in the early 20th century. Similarly, he was happy to deal with the Third Reich, and participated in the much-maligned Vichy government during the Nazi occupation of France. Gulbenkian at Les Enclos, his garden retreat in Deauville. According to The Spectator, Gulbenkian is perhaps best known today as a collector and philanthropist. He was particularly keen to ensure that the Armenian community should benefit from his wealth, and stipulated that five percent of the workers in his Iraq Petroleum Company should be Armenian. He donated to museums, schools, hospitals, and churches, and the Gulbenkian Foundation, based in Lisbon, remains active in aiding similar causes today. The auditorium seen across the lake in the garden of the Calouste Gulbenkian foundation, Lisbon, Portugal. However, as Conlin explains, Gulbenkian’s personal life was rather less successful. He remained unable to settle in one place, despite building a lavish palace in Paris, and lived his life between hotel rooms. 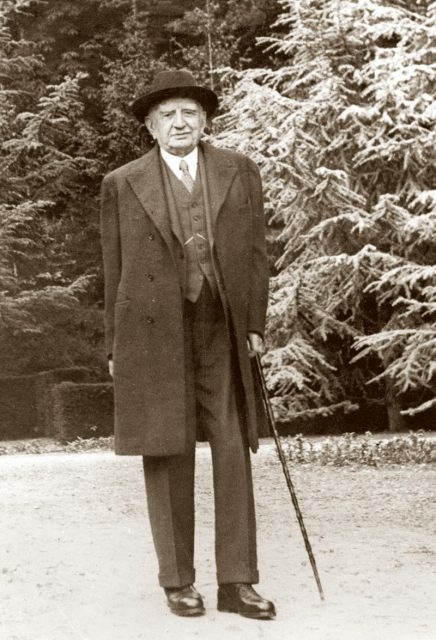 His family life suffered as a result of his singular focus on his work, and he was often in open conflict with his son Nubar, who at one point sued his father for five percent (naturally) of the five percent that Gulbenkian held in the Iraq Petroleum Company. 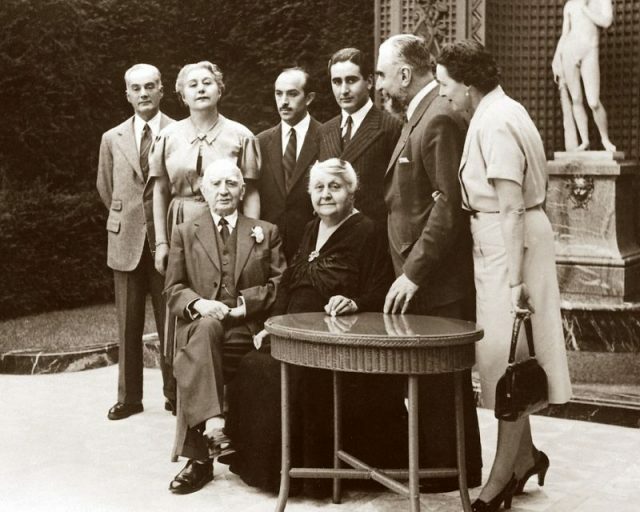 Calouste Gulbenkian and his family in 1952 at the 60th anniversary of his wedding. After periods in Istanbul, London, and Paris, Gulbenkian eventually moved to Lisbon, where he spent the last 12 years of his life, living between suites at five different hotels. At the point of his death in 1955 it is estimated that he may have been worth up to $840 million, although the exact figure is uncertain. This immensely wealthy, difficult and complicated man may have been one of the richest men in history, but in the end, it could not buy him happiness.